Helen Jacobsen is Senior Curator and Curator of French 18th-century Decorative Arts at the Wallace Collection where she is responsible for the outstanding collection of clocks, furniture, porcelain, gold boxes and gilt bronze. Her current research interests include the furniture of the later 18th century, the collecting of ancien régime decorative art in the 19th century, and bronzes d’ameublement. Her recent publications include Gilded Interiors. Parisian Luxury and the Antique (London, 2017), in association with an exhibition at the Wallace Collection, and contributing essays in C. Baulez and C. Vignon (eds. ), Pierre Gouthière. Virtuoso Gilder at the French Court (New York and Paris, 2016) and D. O. Kisluk-Grosheide and B. Rondot (eds.) Visitors to Versailles (1682-1789), (Paris and New York, 2018). She graduated in History of Art from Cambridge University and later received her MA in the History of Design from the Royal College of Art/Victoria & Albert Museum. She did further postgraduate study at Oxford University, where her DPhil investigated the foreign influences in art, architecture and the decorative arts that characterised much cultural patronage by English diplomats in the seventeenth and eighteenth centuries, and the role played by architecture and the arts in diplomatic and political life. 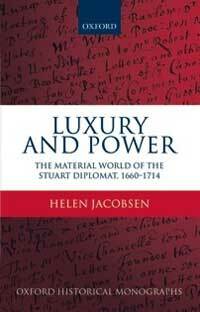 Luxury and Power: the Material World of the Stuart Diplomat appeared with Oxford University Press in 2011. 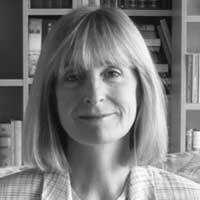 She has published in the Journal of the History of Collections, Furniture History and the Historical Journal. Helen is responsible for three academic programmes focusing on 18th-century art run by the Wallace Collection and supervises doctoral research on collecting and French decorative art. She is on the Councils of The Attingham Trust and the French Porcelain Society.